The RejuvaWell approach is different. If you’re ready and serious about losing weight and looking and feeling great, we will help. Working towards a healthier lifestyle and a new image is never as easy as it sounds, but we aim to make it fun but most importantly, effective. There are many diet and workout regimes that work well, but without the help of a specialist, finding the right program for you may be a difficult task. At RejuvaWell, our goal is to address physicality from different angles. Many people struggle to lose weight. From a health standpoint, even losing 10 pounds can reduce dependency on a variety of medications. Heading toward optimal weight often takes care of high cholesterol, high triglycerides, inflammation, gut issues and surprisingly, auto-immune problems. Several auto-immune diseases are harbored in fat cells. A study conducted several years ago found that Type II Diabetes was reduced or eliminated in people who had liposunction surgery! Working towards optimal weight has several physical and psychological benefits. Stubborn fatty deposits in otherwise normal weight people can usually be very successfully addressed without surgery. We use truSculpt 3D radiofrequency technology to simultaneously rupture and destroy fat cell and tighten skin. A cryolipolysis technology like CoolSculpt, will kill fat cells, but then leaves the extra skin where the fat was, sagging. For this reason we prefer using light technology. It’s a two for one! truSculpt on larger areas is a SINGLE treatment! Body Sculpting, as in artful fat loss and sculpting, is accomplished by adding on Exilis Ultra after truSculpt to better contour and shape the figure. Exilis is a 4 series protocol, spaced one week apart. Final results take 12 weeks. But it’s worth it! You’ll still be here in 12 weeks anyway, you may as well know you’ll look and feel better. Some cases only need one of the other treatment. Exilis Ultra also destroys fat cells, so if sculpting without larger debulking is the goal, this may be ideal by itself. Some of our patients who have had massive weight loss but do not want or need surgery to tighten the excess skin, are good candidates for Exilis treatment. When significant weight loss is the goal, we offer medically supervised weight loss programs. While there are several options that are effective and that we can administer, we have found that any program is most effective with support and accountability. Our programs are 13 week programs in which we begin with biometric measurements and blood labs, continuing with daily calls or texts and weekly brief meetings to perform repeat biometrics (weight, body composition, muscle mass, etc) and address any issues our participants may be experiencing. We repeat blood labs on the more aggressive rapid weight loss options at the 3-4 week mark. Safety over everything else! You can choose whether you are more inclined to be successful with a quick result, but understanding that you still need 13 weeks, even if you’ve lost the weight in 3, to stabilize, or a slower more steady approach that allows for plenty of calories to begin or continue an exercise program. The 13 week programs cost $1600, but are life changing and we will give you one of the four Exilis treatments at the end of your program! What’s different about our approach? It is NOT inexpensive. It’s quick, but not without your participation. It’s healthy. Your plan is for you, and medically-based to insure your safety. We can offer medical weight loss solutions such as HCG Diet and medications, but we prefer to support a menu plan and accountability. We take a comprehensive medical history so that we are aware of any illnesses, dietary restrictions and rate at which you can safely lose weight. We also run nutrigenomic testing to see what you metabolize easily and what supplements will work for you specifically. We perform a full medical exam to help determine safe weight loss goals and we monitor blood and organ function as you lose. The exam allows us to tailor solutions with your goals. Our health coaches guide you through food plan and exercise options. And if you are not willing to exercise, we can still help. We take your health and fitness goals seriously, so we use reliable and medically proven techniques and are also willing to work with the latest fitness craze you might be interested in, because those can work also! 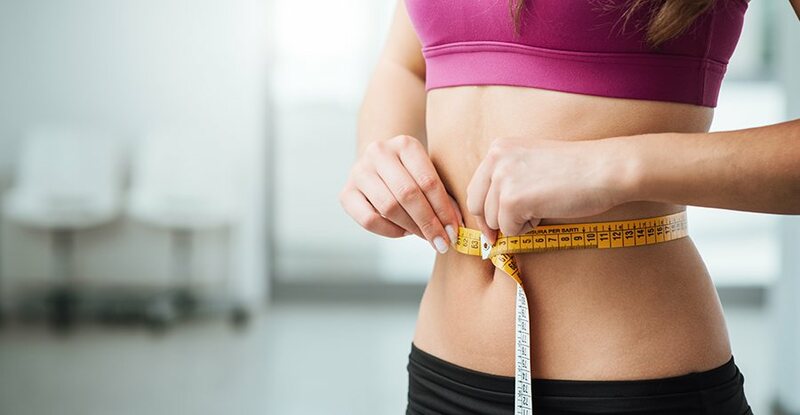 Once you begin meeting goals, the significant image change happens by using non-invasive body sculpting technology to melt unwanted fat pockets. Skin tightening radio frequency solutions firm the looser skin that comes with weight loss and age. Meanwhile, our staff has been trained to assist you in any area in which you need help. We meet with you weekly to help keep you on track and you have unlimited 24/7 email consults with your health coach. For people accomplishing massive weight loss, skin-tightening alone will not remove large pockets of excess skin. We work with a surgeon who specializes in massive weight loss surgery. Then we help diminish scars and residual fat pockets with our technologies. Contact us today to learn about our medical weight loss programs and find out how we can tailor one of your needs.